The Open Retail Initiative (ORI) is a collaborative effort by Intel and top technology companies who believe that open accessible solutions will accelerate iteration, flexibility, and innovation at scale. Petrosoft has joined Intel among other industries leaders as Canonical (Ubuntu), Dell, Envirosell, HP, JD.com, JDA, Retail Next, SAS, Shekel Brainweigh, SUSE, Toshiba Global Commerce Solutions, Verifone, Videonetics, and others. Gas stations are getting smarter—and Petrosoft is helping fuel this transformation. Learn how IBM® Informix® is harnessing Internet of Things (IoT) technology to give Petrosoft’s clients ultra-fast, up-to-date insight into all aspects of their fuel and retail operations while helping to boost safety, efficiency and profitability. Petrosoft LLC, a global provider of end-to-end retail technology solutions, announces it has received SOC 2 certification. SOC 2 is increasingly becoming the compliance requirement that technology companies must meet today. As companies leverage the cloud to store customer data, SOC 2 compliance is becoming a necessity for a wide variety of organizations, especially for Software-as-a-Service (SaaS) companies. Achieving SOC 2 compliance means that Petrosoft has established processes and practices with required levels of oversight across the organization — specifically, monitoring unusual system activity, authorized and unauthorized system configuration changes, and user access levels. Internet of Things becomes more and more of a necessity for retailers, as it helps them embed the physical devices with electronics, software, and sensors, enabling a seamless data flow. Petrosoft team has had a blast at the 2018 NACS Show in Las Vegas, Nevada. The NACS Show, a well-known national tradeshow in the convenience industry, was held October 7-10, 2018 and gathered more than 25,000 retailers and distributors from the convenience and fuel retailing industry. With educational sessions, presentations, product launches, and promotional offers, the show proved to be a success! Petrosoft, a global leader in retail and downstream petroleum technology, announces it has won the Top Innovation Partner Award at the 2018 SAP SMB Innovation Summit. The SAP Innovation Award celebrates the achievements of top SAP partners across the globe that are using SAP platform technologies to transform their business, drive innovation for customers and win in the digital economy. This year, Petrosoft will be attending NACS 2017 located in Chicago Illinois. Petrosoft will present its software and solutions during the show October 17-20. 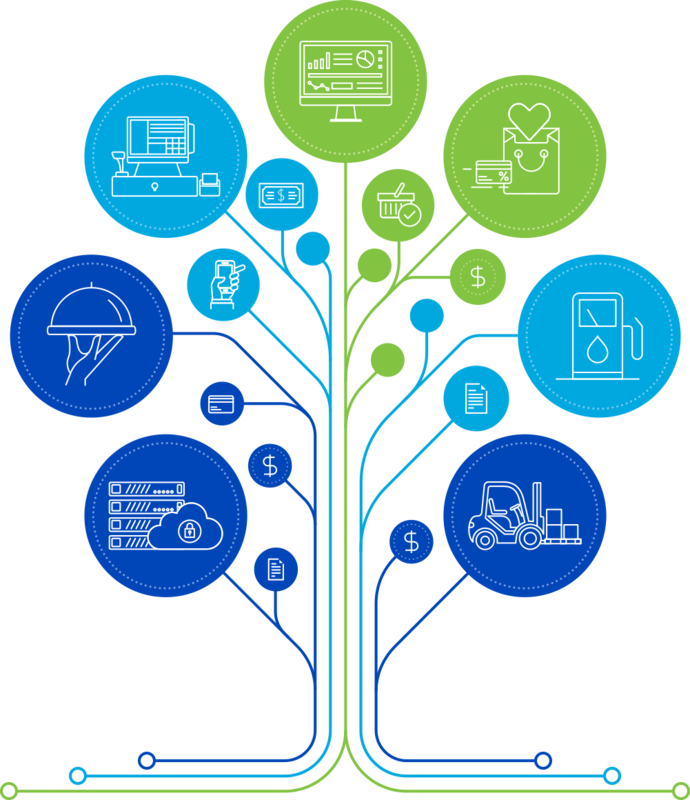 During the show, convenience store and fuel retailers interested in reducing shrinkage and optimizing their operations should visit booth 3967 or booth 3767 for a demo of Loss Prevention Analytics, point-of-sale solutions, back-office software, and foodservice technology. PITTSBURGH, PA –(Marketwired – October 19, 2016) – With an industry aggregate of $42 billion in annual losses, Petrosoft recognized the opportunity to empower retailers to gain better control of retail operations with its Loss Prevention Analytics technology. The solution is revolutionizing the way retailers manage their operations by providing a clear view and verifiable proof of errors and theft. Loss Prevention Analytics enhances both POS and loss prevention technology. PITTSBURGH, PA–(Marketwired – July 12, 2016) – EY announced that CEO Sergey Gorlov of Petrosoft, a leading end-to-end retail technology company, received the EY Entrepreneur Of The Year® 2016 Award in the technology software category in the Western Pennsylvania and West Virginia program. This year marks the 30th anniversary of the EY Entrepreneur Of The Year Award program. The award recognizes outstanding entrepreneurs who demonstrate excellence and extraordinary success in such areas as innovation, financial performance, and personal commitment to their businesses and communities. Sergey Gorlov was selected by an independent panel of judges, and the award was presented at a special gala event at the David L. Lawrence Convention Center in Pittsburgh, PA on June 24, 2016. PITTSBURGH, PA–(Marketwired – May 18, 2016) – Petrosoft launches its restaurant point-of-sale (POS), ordering and delivery solution at the 2016 National Restaurant Association’s Restaurant, Hotel-Motel Show. As an end-to-end retail technology provider, the company now offers a restaurant POS, ordering, delivery and back-office solution that is tailored to meet the unique environmental and business demands of quick-service, fast casual and pizza restaurant operations. The solution includes a point-of-sale (POS) system with an embedded ordering system, a self-service kiosk ordering system, prep station, and delivery management system. The solution also integrates seamlessly with its cloud-based back-office solution. PITTSBURGH, PA–(Marketwired – December 02, 2014) – Petrosoft launches DC-301, the next generation of DirectConnect. The DC-301 is the reliable, fast and secure way for retailers to connect their POS systems to their back office systems without the need for a computer. Computers are multi-use as well as multi-purpose machines and, in a retail environment, are likely to be used by many employees during the day which can increase the vulnerability and threats to your data and systems. The DC-301 has no active users and its single purpose is to provide a secure connection so your encrypted data can be transferred between your font-end and back-end retail systems. This can reduce overall data transfer time by as much as 37%, transferring all the data from a shift report in under 40 seconds. Petrosoft’s sales team has been busy promoting C-Store Office, Fuel Central, Smart POS, and Qwickserve as they concluded the spring trade show season. The lineup included The Southwest Fuel and Convenience Expo, The NYACS Trade Show and Convention, and The Gulf Marketers Association 2014 Brand Meeting and Trade Show. NFL Quarterback Charlie Batch wants to know more about Petrosoft’s amazing growth. Charlie Batch wants to know about Petrosoft’s amazing growth and our ambitious hiring plans for the coming year! Petrosoft’s VP of Sales, Tegar Harrington, answers questions on techVIBE this Saturday Jan 26th on 104.7 FM, starting at noon. Jonathan Kersting of Pittsburgh Technology Council is co-hosting this upbeat News Talk.